Salman Khan's recent release 'Tubelight', which has got mixed reviews from audience and critics, has finally entered the coveted Rs 100 crore club a week after its release. Salman Khan's recent release 'Tubelight', which has got mixed reviews from audience and critics, has finally entered the coveted Rs 100 crore club a week after its release. According to the media reports, the Kabir Khan directorial, which had made a collecction of Rs 95.86 cr till Tuesday, reportedly earned Rs 10 crore on Wednesday, taking the overall collection of 'Tubelight' to Rs 105.86 crore. Notably, the collection of 'Tubelight' has come has a surprise for everyone, given that a Salman Khan-starrer often ends up crossing the Rs 100 crore mark in its first weekend itself. However, this hasn't been the case with 'Tubelight' whose collections have witnessed a dip with every passing day. As per one of the tweets by Bollywood trade analyst Taran Adarsh, the break-down of collection of Salman's 'Tubelight' has been - Fri 21.15 cr, Sat 21.17 cr, Sun 22.45 cr, Mon 19.09 cr [Eid], Tue 12 cr. Total: ₹ 95.86 cr. #Tubelight Fri 21.15 cr, Sat 21.17 cr, Sun 22.45 cr, Mon 19.09 cr [Eid], Tue 12 cr. Total: ₹ 95.86 cr. India biz. While the box office numbers have been a little disappointing, if the trade experts are to be believed, 'Tubelight' might have to struggle to reach the Rs 200 crore mark. “I feel the movie can collect somewhere in the range of Rs 150 crore plus in its lifetime run. Next weekend we only have Transformers: The Last Knight, which will take just one screen from every multiplex and single screens. 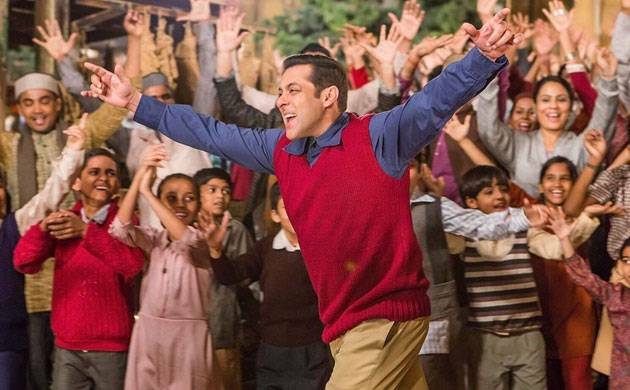 But largely, in its second weekend too, it is going to be Tubelight all over the country. There is no other choice that the public has at the moment. So it will continue to rake in the moolah," Bollywood trade analyst Akshaye Rathi told Bollywood Life. Talking about 'Tubelight', the movie is set on a backdrop of India-China 1962 war. Apart from Salman, the Kabir Khan directorial also stars Sohail Khan, Chinese actress Zhu Zhu, late actor Om Puri and child actor Matin Rey Tangu.